Welcome to Sansar – What the Huck? Linden have let it be known that the working title for Second Life 2 is ‘Sansar’, and I suspect by ‘working title’ they mean, “let’s put this out there and see what people make of it.” Whether the name takes or not, it’s a sensible move. Given that most of the blogosphere appears in agreement that, in retrospect, ‘Second Life’ probably wasn’t the best of names for our current metaverse (it just too easily begs the question, “What’s wrong with your first life?”), giving us an alternative moniker to start using as soon as possible seems prudent. SL2 is probably years away, but a product doesn’t have to actually exist in order for its nomenclature to start forming: Microsoft stopped calling the tiled interface of Windows 8 ‘Metro’ some time before the operating system’s release, but the name amongst commentators was so well-established that it stuck nonetheless. Linden probably won’t want ‘Second Life 2’ to become similarly sticky. 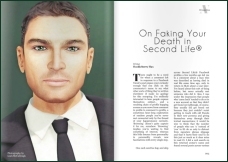 Wagner James Au disapproves of ‘Sansar’, calling it a “silly name” and – rather missing the argument outlined above – has called on everyone to continue using the term “Second Life 2”. Canary Beck takes a different view and has outlined ten reasons why the name might be a good one, including the fact that it’s short, unique, easy to remember, easy to type and – very importantly, I think – that it’s a word denoting a place. 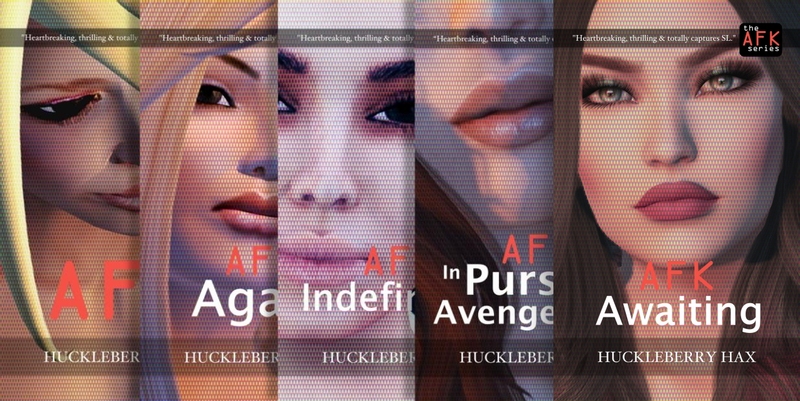 After all, Second Life is a place we visit. If that’s a stretch for you, consider how it must be for people who don’t speak English: they still accept and incorporate these words into their everyday vernacular. I have a friend in Eastern Europe who doesn’t use Facebook, but still refers to others using it – and thinks it’s called ‘Isbok’. That gets me thinking about ‘Rebok’ as a name for sportswear that makes no sense to me whatsoever – but I still use it. And does anyone know what ‘Sony’ means? Or Toyota? Or Nintendo? Or Samsung? Perhaps my ‘meh’ moment came about because I wasn’t really able to relate to the word. It sounds a bit summer vacation to me, like sangria or salsa: something potentially fun, but superficial, brightly coloured, mass appeal and transient. It also sounds like the sort of name a fantasy writer might give to a planet across a series of Goreanesque books (with ‘Sansar’, ‘Forests of Sansar’ and ‘Oceans of Sansar’ forming the obvious first three titles). It sounds – dare I say it – as though it’s trying a little too hard, a sort of Ed Milliband of virtual world names that wants so badly to be taken seriously but keeps tripping over cables when trying to make a dignified exit (an analogy which will probably be lost on most Americans, since – according to one of them – most weren’t able to tell the difference between the leaders of the three main UK political parties in Thursday’s general election). I can see why Wagner had the reaction that he did. But word associations do evolve. As place names go, it could be worse. Linden could have employed that narrow-minded preference for familiarity that nationalists seem to be claiming these days as ‘common sense’ and gone for a stronger, harder word that links itself all the more firmly to specific places like Detroit or Dallas or Boston, an attempt to evoke more concretely a sense of place and purpose: this might work to an extent for English speaking countries, but that might alienate the rest of the planet; furthermore, it might create a restricted sense of the sort of thing that goes on in this virtual place to the uninitiated newbie. Words like that might also come across as a little domestic in feel; a little humdrum; a little dull. I don’t want the metaverse I visit to be just another place of apartments, offices and car parks: I want it to be a faraway place; a mysterious world; an exotic location. I want it to be a place which contrasts with my everyday world. Sansar might feel a little bit coloured plastic on first encounter, but it also carries with it a sense of the unknown and of intrigue. It sounds like the sort of place I might daydream about when I should be doing work of some description. As someone who enjoys the sonics of words, perhaps it’s the short first vowel sound of Sansar that makes it feel just that little bit harsh on my ears and reduces its sense of complexity. For me, ‘Sonsar’, sounds a bit more soothing and sophisticated, though possibly that makes it visually a bit too close to ‘Sonar’, conjuring up to the apprehensive potential applicant issues of Snowdenesque intrusion. Also, Sansar has a specific meaning: as Strawberry Singh points out, it means ‘world’ in Sanskrit and it would be a shame to lose this semantic. Perhaps, then, Linden will promote a particular pronunciation of the word which employs a longer vowel sound: think ‘awe’ as in ‘straw’ or perhaps ‘ah’ as in ‘car’. I’ve not yet heard the word spoken, so it might be the case that it is actually spoken in one of those ways. And yet, just the typing of this short piece has made the word – just as it is – start feeling familiar to me in a way that I’m starting to become quite fond of it. Sansar. Sansar. A distant world awaiting our arrival: a place of beaches and forests and open plains and castles and floating cities and millions – perhaps billions – of homes. A world I might one day step into. A world I might one day chose to live in. Yes. Another reason why releasing this working title into the public domain is clever is it starts making the place feel real. Second Life 2 just took its first tentative step away from being just an abstract concept. It’s become a destination. The image above is by Huckleberry Hax and features a view at The Basilique. I’m curious though: if the name really starts to grow on people, will the Lab let us down by revealing that the new platform’s finalized name is something completely different? It’s interesting that they’re careful to classify it only as the “working title” or “internal project name”. Though as you said, they could just be treading carefully to see what kind of reactions they garner. We may only have a (potential) name at this point, but it will be very fascinating to see the genesis of this new platform unfold. I must admit, I wasn’t aware of the Game of Thrones connection, Ever (still haven’t watched an episode of that yet). A virtual world named after a wind… I like this idea! Yes absolutely – ‘Second Second Life’ would reek of increasing desperation! I reckon they could appease your need for flow by changing it to Sansaar? and really do agree SL Squared just won’t do. Great post!